The Oxford English Dictionary ( OED ) is the main historical dictionary of the English language , published by the Oxford University Press . It traces the historical development of the English language, providing a comprehensive resource to scholars and academic researchers, as well as describing usage in its many variations throughout the world. The second edition came to 21,728 pages in 20 volumes, published in 1989. Work began on the dictionary in 1857, but it was not until 1884 that it began to be published in unbound fascicles as work continued on the project, under the name of A New English Dictionary on Historical Principles; Founded Mainly on the Materials Collected by The Philological Society . In 1895, the title The Oxford English Dictionary ( OED ) was first used unofficially on the covers of the series, and in 1928 the full dictionary was republished in ten bound volumes. In 1933, the title The Oxford English Dictionary fully replaced the former name in all occurrences in its reprinting as twelve volumes with a one-volume supplement. More supplements came over the years until 1989, when the second edition was published. Since 2000, a third edition of the dictionary has been underway, approximately a third of which is now complete. As a historical dictionary, the Oxford English Dictionary explains words by showing their development rather than merely their present-day usages. Therefore, it shows definitions in the order that the sense of the word began being used, including word meanings which are no longer used. Each definition is shown with numerous short usage quotations; in each case, the first quotation shows the first recorded instance of the word that the editors are aware of and, in the case of words and senses no longer in current usage, the last quotation is the last known recorded usage. This allows the reader to get an approximate sense of the time period in which a particular word has been in use, and additional quotations help the reader to ascertain information about how the word is used in context, beyond any explanation that the dictionary editors can provide. The format of the OED 's entries has influenced numerous other historical lexicography projects. The forerunners to the OED , such as the early volumes of the Deutsches Wörterbuch , had initially provided few quotations from a limited number of sources, whereas the OED editors preferred larger groups of quite short quotations from a wide selection of authors and publications. This influenced later volumes of this and other lexicographical works. Furnivall then became editor; he was enthusiastic and knowledgeable, yet temperamentally ill-suited for the work. : 110 Many volunteer readers eventually lost interest in the project, as Furnivall failed to keep them motivated. Furthermore, many of the slips had been misplaced. In the 1870s, Furnivall unsuccessfully attempted to recruit both Henry Sweet and Henry Nicol to succeed him. 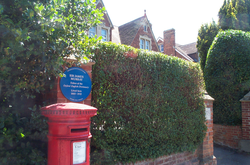 He then approached James Murray , who accepted the post of editor. 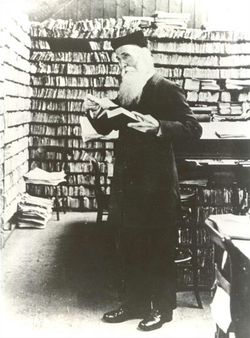 In the late 1870s, Furnivall and Murray met with several publishers about publishing the dictionary. In 1878, Oxford University Press agreed with Murray to proceed with the massive project; the agreement was formalized the following year. 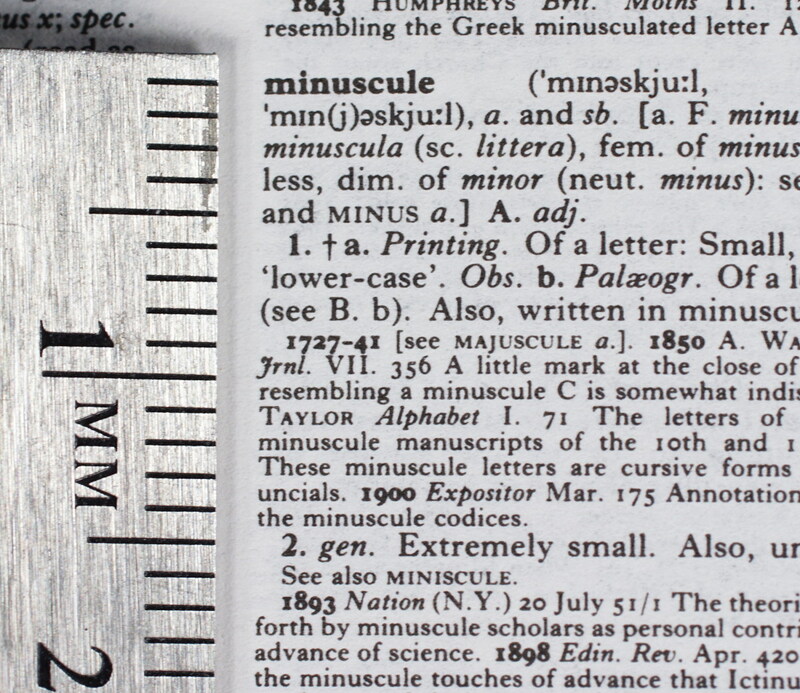 : 111–2 The dictionary project finally had a publisher 20 years after the idea was conceived. It was another 50 years before the entire dictionary was complete. Late in his editorship, Murray learned that a prolific reader named W. C. Minor was a criminal lunatic. : xiii Minor was a Yale University-trained surgeon and military officer in the American Civil War , and was confined to Broadmoor Asylum for the Criminally Insane after killing a man in London. Minor invented his own quotation-tracking system, allowing him to submit slips on specific words in response to editors' requests. 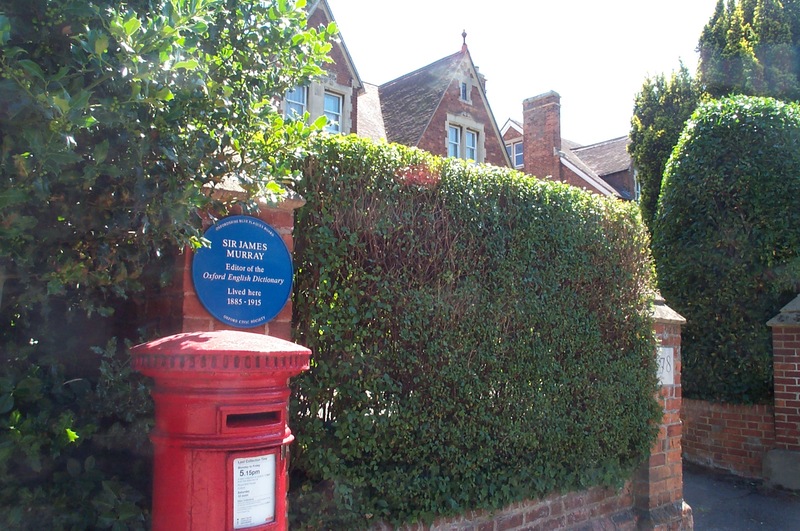 The story of Murray and Minor later served as the central focus of The Surgeon of Crowthorne (US title: The Professor and the Madman ), a popular book about the creation of the OED . Gell continued harassing Murray and Bradley with his business concerns—containing costs and speeding production—to the point where the project's collapse seemed likely. Newspapers reported the harassment, particularly the Saturday Review , and public opinion backed the editors. : 182–83 Gell was fired, and the university reversed his cost policies. If the editors felt that the dictionary would have to grow larger, it would; it was an important work, and worth the time and money to properly finish. Neither Murray nor Bradley lived to see it. 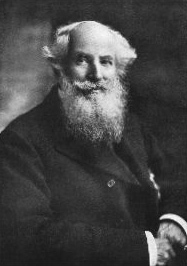 Murray died in 1915, having been responsible for words starting with A–D , H–K , O–P , and T , nearly half the finished dictionary; Bradley died in 1923, having completed E–G , L–M , S–Sh , St , and W–We . By then, two additional editors had been promoted from assistant work to independent work, continuing without much trouble. William Craigie started in 1901 and was responsible for N , Q–R , Si–Sq , U–V , and Wo–Wy. : xix The OUP had previously thought London too far from Oxford but, after 1925, Craigie worked on the dictionary in Chicago, where he was a professor. : xix The fourth editor was Charles Talbut Onions , who compiled the remaining ranges starting in 1914: Su–Sz , Wh–Wo , and X–Z . There were three possible ways to update it. The cheapest would have been to leave the existing work alone and simply compile a new supplement of perhaps one or two volumes; but then anyone looking for a word or sense and unsure of its age would have to look in three different places. The most convenient choice for the user would have been for the entire dictionary to be re-edited and retypeset , with each change included in its proper alphabetical place; but this would have been the most expensive option, with perhaps 15 volumes required to be produced. The OUP chose a middle approach: combining the new material with the existing supplement to form a larger replacement supplement. Robert Burchfield was hired in 1957 to edit the second supplement;  Onions turned 84 that year but was still able to make some contributions, as well. The work on the supplement was expected to take about seven years. It actually took 29 years, by which time the new supplement (OEDS) had grown to four volumes, starting with A , H , O , and Sea . They were published in 1972, 1976, 1982, and 1986 respectively, bringing the complete dictionary to 16 volumes, or 17 counting the first supplement. By the time the new supplement was completed, it was clear that the full text of the dictionary would now need to be computerized. 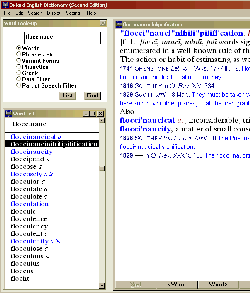 Achieving this would require retyping it once, but thereafter it would always be accessible for computer searching – as well as for whatever new editions of the dictionary might be desired, starting with an integration of the supplementary volumes and the main text. Preparation for this process began in 1983, and editorial work started the following year under the administrative direction of Timothy J. Benbow, with John A. Simpson and Edmund S. C. Weiner as co-editors. In 2016, Simpson published his memoir chronicling his years at the OED. See The Word Detective: Searching for the Meaning of It All at the Oxford English Dictionary - A Memoir. Basic Books, New York. By 1989, the NOED project had achieved its primary goals, and the editors, working online, had successfully combined the original text, Burchfield's supplement, and a small amount of newer material, into a single unified dictionary. The word "new" was again dropped from the name, and the second edition of the OED, or the OED2, was published. The first edition retronymically became the OED1 . The Oxford English Dictionary 2 was printed in 20 volumes. For the first time, there was no attempt to start them on letter boundaries, and they were made roughly equal in size. The 20 volumes started with A , B.B.C. , Cham , Creel , Dvandva , Follow , Hat , Interval , Look , Moul , Ow , Poise , Quemadero , Rob , Ser , Soot , Su , Thru , Unemancipated , and Wave . When the print version of the second edition was published in 1989, the response was enthusiastic. Author Anthony Burgess declared it "the greatest publishing event of the century", as quoted by the Los Angeles Times . Time dubbed the book "a scholarly Everest ",  and Richard Boston , writing for The Guardian , called it "one of the wonders of the world ". However, in the end only three Additions volumes were published this way, two in 1993 and one in 1997, each containing about 3,000 new definitions. 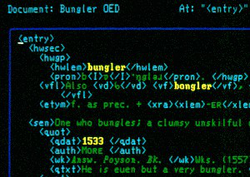 The possibilities of the World Wide Web and new computer technology in general meant that the processes of researching the dictionary and of publishing new and revised entries could be vastly improved. New text search databases offered vastly more material for the editors of the dictionary to work with, and with publication on the Web as a possibility, the editors could publish revised entries much more quickly and easily than ever before. A new approach was called for, and for this reason it was decided to embark on a new, complete revision of the dictionary. Oxford English Dictionary Additions Series Volume 1 ( ISBN 978-0-19-861292-6): Includes over 20,000 illustrative quotations showing the evolution of each word or meaning. Oxford English Dictionary Additions Series Volume 3 ( ISBN 978-0-19-860027-5): Contains 3,000 new words and meanings from around the English-speaking world. Published by Clarendon Press. In 1971, the 13-volume OED1 (1933) was reprinted as a two-volume Compact Edition , by photographically reducing each page to one-half its linear dimensions; each compact edition page held four OED1 pages in a four-up ("4-up") format. The two volume letters were A and P ; the first supplement was at the second volume's end. The Compact Edition included, in a small slip-case drawer, a magnifying glass to help in reading reduced type. Many copies were inexpensively distributed through book clubs . In 1987, the second supplement was published as a third volume to the Compact Edition . Once the text of the dictionary was digitized and online, it was also available to be published on CD-ROM . The text of the first edition was made available in 1987. Afterward, three versions of the second edition were issued. Version 1 (1992) was identical in content to the printed second edition, and the CD itself was not copy-protected. Version 2 (1999) included the Oxford English Dictionary Additions of 1993 and 1997. 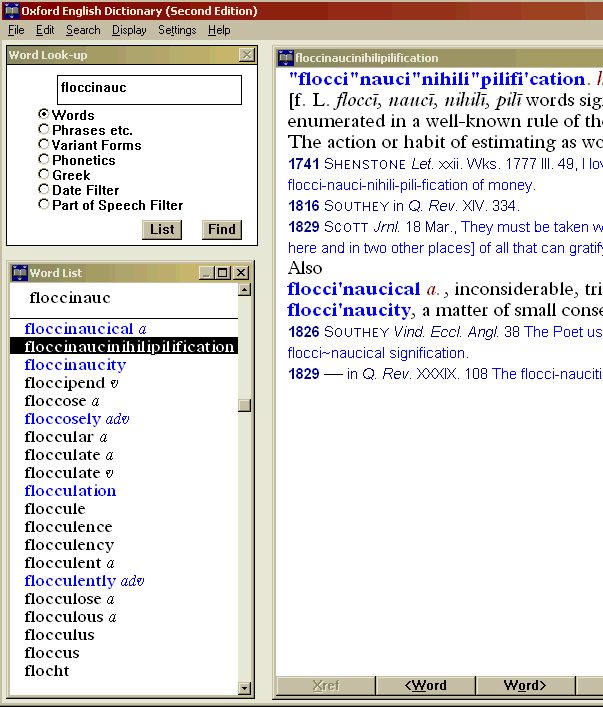 Version 3.0 was released in 2002 with additional words from the OED3 and software improvements. Version 3.1.1 (2007) added support for hard disk installation, so that the user does not have to insert the CD to use the dictionary. 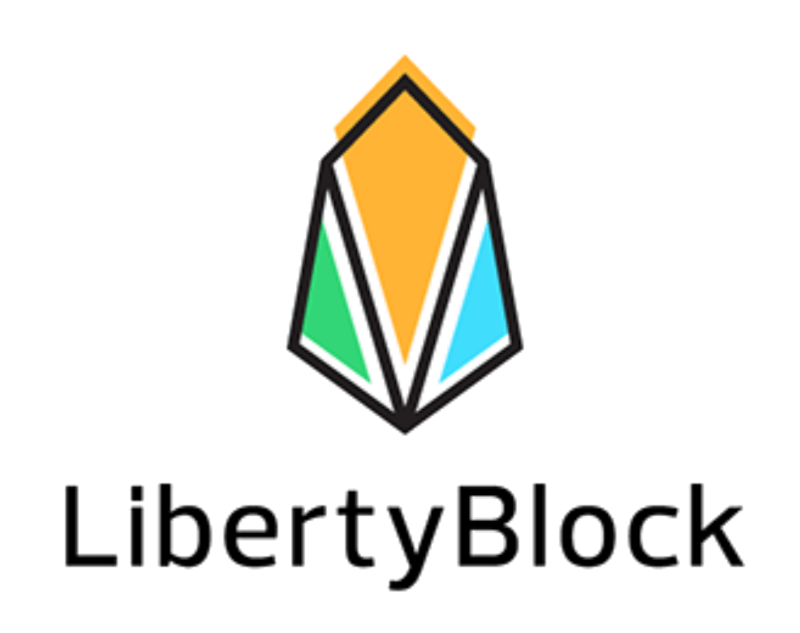 It has been reported that this version will work on operating systems other than Microsoft Windows , using emulation programs . Version 4.0 of the CD has been available since June 2009 and works with Windows 7 and Mac OS X (10.4 or later). This version uses the CD drive for installation, running only from the hard drive. The price for an individual to use this edition is £195 or US$295 every year, even after a reduction in 2004; consequently, most subscribers are large organizations such as universities. Some public libraries and companies have subscribed, as well, including public libraries in the United Kingdom, where access is funded by the Arts Council ,  and public libraries in New Zealand. Individuals who belong to a library which subscribes to the service are able to use the service from their own home without charge. Oxford English Dictionary Second edition on CD-ROM Version 4.0: Includes 500,000 words with 2.5 million source quotations, 7,000 new words and meanings. Includes Vocabulary from OED 2nd Edition and all 3 Additions volumes. Supports Windows 2000-7 and Mac OS X 10.4-10.5). Flash-based dictionary. Print+CD-ROM version ( ISBN 978-0-19-957315-8): Supports Windows Vista and Mac OS). The OED 's utility and renown as a historical dictionary have led to numerous offspring projects and other dictionaries bearing the Oxford name, though not all are directly related to the OED itself. The Shorter Oxford English Dictionary , originally started in 1902 and completed in 1933,  is an abridgement of the full work that retains the historical focus, but does not include any words which were obsolete before 1700 except those used by Shakespeare , Milton , Spenser , and the King James Bible . A completely new edition was produced from the OED2 and published in 1993, with further revisions following in 2002 and 2007. The Concise Oxford Dictionary is a different work, which aims to cover current English only, without the historical focus. The original edition, mostly based on the OED1 , was edited by Francis George Fowler and Henry Watson Fowler and published in 1911, before the main work was completed. Revised editions appeared throughout the twentieth century to keep it up to date with changes in English usage. In 1998 the New Oxford Dictionary of English ( NODE ) was published. While also aiming to cover current English, NODE was not based on the OED . Instead, it was an entirely new dictionary produced with the aid of corpus linguistics . 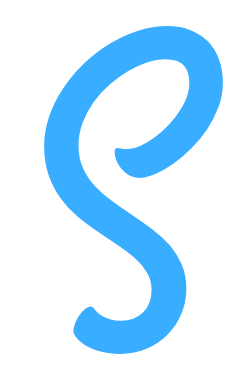 Once NODE was published, a similarly brand-new edition of the Concise Oxford Dictionary followed, this time based on an abridgement of NODE rather than the OED ; NODE (under the new title of the Oxford Dictionary of English , or ODE ) continues to be principal source for Oxford's product line of current-English dictionaries, including the New Oxford American Dictionary , with the OED now only serving as the basis for scholarly historical dictionaries. "As a historical dictionary, the OED is very different from those of current English, in which the focus is on present-day meanings." "The OED is a historical dictionary, with a structure that is very different from that of a dictionary of current English." Jamieson, Alastair (29 August 2010). . The Telegraph . Retrieved 11 August 2012 . Flanagan, Padraic (20 April 2014). . The Telegraph . Retrieved 8 June 2014 .
. Oxford Dictionaries . Retrieved 26 May 2015 . Osselton, Noel (2000). "Murray and his European Counterparts". In Mugglestone, Lynda. Lexicography and the OED: Pioneers in the Untrodden Forest . Oxford: Oxford University Press. ISBN 0191583464.
. Oxford English Dictionary Online . Retrieved 1 June 2014 . A bold type combination has a significantly different meaning from the sum of its parts, for instance sauna-like is unlike an actual sauna. . Oxford English Dictionary Online . 1989. Archived from on 16 May 2008 . Retrieved 16 May 2008 . Italicized combinations are obvious from their parts (for example television aerial ), unlike bold combinations. . Oxford English Dictionary Online . 1989. Archived from on 16 May 2008 . Retrieved 16 May 2008 . Winchester, Simon (28 May 2011). . The New York Times . Retrieved 26 December 2013 . Simpson, John (13 December 2007). . Oxford English Dictionary Online . OED . Retrieved 3 August 2010 . Gilliver, Peter (2013). . Dictionaries: Journal of the Dictionary Society of North America . 34 (34): 10–23. doi : . Retrieved 8 June 2014 .
. cultural-china.com . Archived from on 30 March 2013 . Retrieved 21 October 2013 . Winchester, Simon (1999). The Professor and the Madman . New York: HarperPerennial. ISBN 978-0-06-083978-9. Gilliver, Peter (2013). . Dictionaries: Journal of the Dictionary Society of North America . 34 : 175. doi : . Retrieved 10 March 2015 . Trench, Richard Chenevix (1857). . Transactions of the Philological Society . 9 : 3–8. Craigie, W. A.; Onions, C. T. (1933). A New English Dictionary on Historical Principles: Introduction, Supplement, and Bibliography . Oxford: Clarendon Press. Mugglestone, Lynda (2005). Lost for Words: The Hidden History of the Oxford English Dictionary . Yale University Press. ISBN 978-0-300-10699-2.
. Oxford English Dictionary Online . Retrieved 7 June 2014 . Murray, K. M. Elizabeth (1977). Caught in the Web of Words: James Murray and the Oxford English Dictionary . Yale University Press. p. 178. ISBN 978-0-300-08919-6. Winchester, Simon (2003). The Meaning of Everything: The Story of the Oxford English Dictionary . Oxford University Press. ISBN 0-19-860702-4. Mugglestone, Lynda (2000). Lexicography and the OED : Pioneers in the Untrodden Forest . Oxford University Press. p. 245.
. Oxford English Dictionary Online . Retrieved 3 October 2012 . Considine, John (1998). (PDF) . Proceedings of the 8th EURALEX International Congress : 579–587 . Retrieved 8 June 2014 .
. Oxford English Dictionary Online . 1989. Archived from on 16 May 2008 . Retrieved 16 May 2008 . Simpson, John (2002). (PDF) . Dictionaries: Journal of the Dictionary Society of North America . 23 : 1–15. doi : . Retrieved 22 July 2014 . Ogilvie, Sarah (30 November 2012). . The Guardian . Retrieved 2 October 2014 . Ogilvie, Sarah (2012). Words of the World: A Global History of the Oxford English Dictionary . Cambridge University Press. ISBN 978-1-107-02183-9. 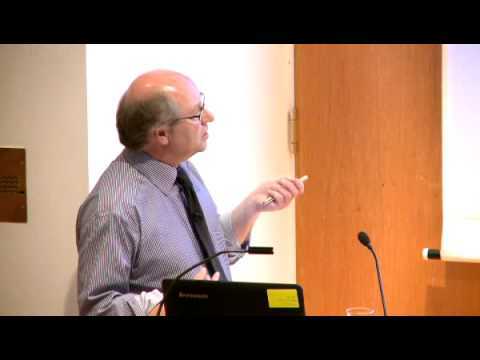 Kaufman, Leslie (28 November 2012). . The New York Times . Retrieved 8 June 2014 . Flood, Alison (26 November 2012). . The Guardian . Retrieved 8 June 2014 . Tompa, Frank (10 November 2005). . Retrieved 4 June 2014 . Cowlishaw, Mike F. (1987). . IBM Journal of Research and Development . 31 (1): 73–80. doi : . Retrieved 7 June 2014 . Gray, Paul (27 March 1989). . Time . Retrieved 7 June 2014 .
. UKGameshows . Retrieved 2 June 2014 . Fisher, Dan (25 March 1989). "20-Volume English set costs $2,500; New Oxford Dictionary – Improving on the ultimate". Los Angeles Times . Here's novelist Anthony Burgess calling it "the greatest publishing event of the century". It is to be marked by a half-day seminar and lunch at that bluest of blue-blood London hostelries, Claridge's. The guest list of 250 dignitaries is a literary "Who's Who". Boston, Richard (24 March 1989). "The new, 20-volume Oxford English Dictionary: Oxford's A to Z – The origin". The Guardian . London. The Encyclopaedia Britannica and the Dictionary of National Biography are indeed yet mighty, but not quite what they used to be, whereas the OED has gone from strength to strength and is one of the wonders of the world.
. Oxford English Dictionary Online . 1989. Archived from on 16 December 2003 . Retrieved 16 December 2003 . Brewer, Charlotte (28 December 2011). . Examining the OED . Retrieved 7 June 2014 .
. Oxford English Dictionary Online . 1993. Archived from on 16 May 2008 . Retrieved 16 May 2008 . Oxford English Dictionary Additions Series . 1 . Oxford: Clarendon Press. 1993. ISBN 978-0-19-861292-6. Oxford English Dictionary Additions Series . 2 . Oxford: Clarendon Press. 1993. ISBN 978-0-19-861299-5. Oxford English Dictionary Additions Series . 3 . Oxford: Clarendon Press. 1996. ISBN 978-0-19-860027-5. Simpson, John (31 January 2011). (video) . Retrieved 7 June 2014 . Willen Brown, Stephanie (26 August 2007). . CogSci Librarian . Retrieved 23 October 2007 . Winchester, Simon (27 May 2007). . TVOntario (Podcast). Big Ideas . Archived from on 16 February 2008 . Retrieved 1 December 2007 . Brewer, Charlotte (12 February 2012). . Examining the OED . Retrieved 7 June 2014 . Simpson, John (March 2000). . Oxford English Dictionary Online . Retrieved 1 June 2014 . Durkin, Philip N. R. (1999). . Transactions of the Philological Society . 97 (1): 1–49. doi : . Retrieved 8 June 2014 . Thompson, Liz (December 2005). . Oxford English Dictionary News . Oxford University Press. p. 4 . Retrieved 6 January 2014 .
. Oxford English Dictionary Online . Retrieved 8 June 2014 . The Compact Oxford English Dictionary . Oxford University Press. 1991. ISBN 978-0-19-861258-2. Logan, H. M. (1989). "Report on a New OED Project: A Study of the History of New Words in the New OED". Computers and the Humanities . 23 (4–5): 385–395. doi :. JSTOR . Holmgren, R. J. 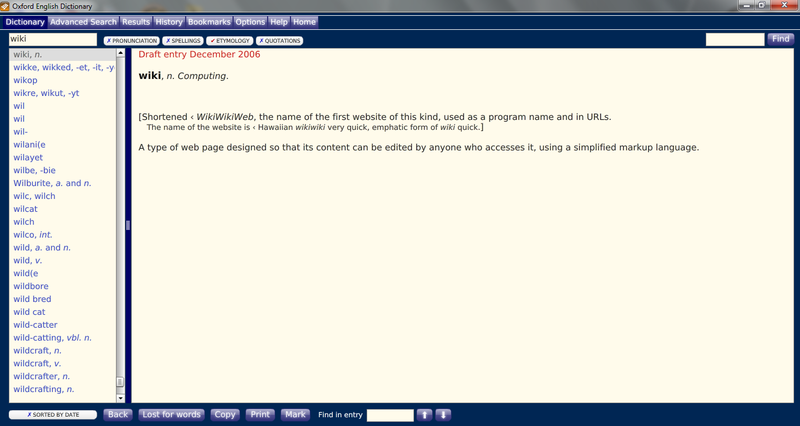 (21 December 2013). . Oxford English Dictionary (OED) on CD-ROM in a 16-, 32-, or 64-bit Windows environment . Retrieved 7 June 2014 . Bernie. . Newsgroup : . 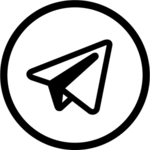 Usenet: . Retrieved 7 June 2014 .
. Oxford University Press . Retrieved 26 December 2013 . 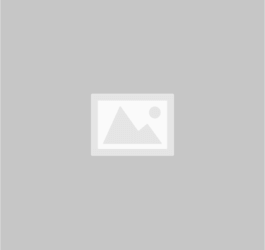 New, Juliet (23 March 2000). . Ariadne . ISSN . Retrieved 18 March 2007 .
. Webometric Thoughts . 21 August 2009 . Retrieved 7 June 2014 . Kite, Lorien (15 November 2013). . Financial Times . ISSN . Retrieved 22 June 2015 .
. Oxford University Press . Retrieved 6 January 2013 .
. EPIC . Retrieved 7 June 2014 . Burnett, Lesley S. (1986). (PDF) . ZuriLEX '86 Proceedings : 229–233 . Retrieved 7 June 2014 . Blake, G. Elizabeth; Bray, Tim; Tompa, Frank Wm (1992). . ACM Transactions on Information Systems . 10 (3): 213–232. doi : . Retrieved 29 July 2014 . Brown, Lesley, ed. (1993). The New Shorter Oxford English Dictionary on Historical Principles . Oxford: Clarendon Press. ISBN 978-0-19-861134-9. The Concise Oxford Dictionary: The Classic First Edition (facsimile reprint) |format= requires |url= (help) . Oxford University Press. 2011. ISBN 978-0-19-969612-3. Quinion, Michael (18 September 2010). . World Wide Words . Retrieved 29 July 2014 .
. Oxford English Dictionary Online . Retrieved 1 June 2014 . 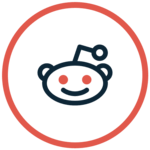 (Subscription required ( help )) .
. Askoxford.com . Retrieved 3 August 2010 . See also -ise/-ize at American and British English spelling differences .
. Oxford English Dictionary Online . Retrieved 18 February 2012 . Luk, Vivian (13 August 2013). . Toronto Star . Canadian Press . Retrieved 9 February 2016 . Harris, Roy (1982). "Review of RW Burchfield A Supplement to the OED Volume 3: O—Scz". TLS . 3 : 935–6. Oxford University Press (2017). . Oxford English Dictionary online . Retrieved 28 October 2017 . Brewer, Charlotte (21 March 2010). . Examining the OED . Retrieved 4 June 2014 .
. Oxford English Dictionary Online . September 2011 . Retrieved 4 June 2014 . (Subscription required ( help )) .
. Oxford English Dictionary Online . March 2008 . Retrieved 1 June 2014 . (Subscription required ( help )) . ten Hacken, Pius (2012). (PDF) . Proceedings of the 15th EURALEX International Congress : 834–845 . Retrieved 28 July 2014 . Brewer, Charlotte (4 February 2008). . Examining the OED . Retrieved 4 June 2014 . Bray, Tim (9 April 2003). . ongoing by Tim Bray . Retrieved 4 June 2014 .
. Wordsmith. 11 February 2002 . Retrieved 3 August 2010 . Brewer, Charlotte (2007), Treasure-House of the Language: the Living OED (hardcover), Yale University Press , ISBN 978-0-300-12429-3 . Kite, Lorien (15 November 2013), , Financial Times (online edition). Gilliver, Peter (2016), The Making of the Oxford English Dictionary (hardcover), Oxford University Press , ISBN 978-0-199-28362-0 . "The Making of the OED, 3rd ed." "History of the Oxford English Dictionary"
Diagram of the types of English vocabulary included in the OED , devised by James Murray , its first editor. 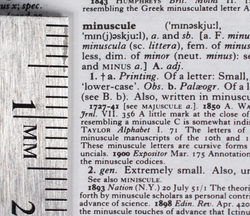 Part of an entry in the 1991 Compact Edition, with a centimeter scale showing the very small type sizes used. All information for Oxford English Dictionary's wiki comes from the below links. Any source is valid, including Twitter, Facebook, Instagram, and LinkedIn. Pictures, videos, biodata, and files relating to Oxford English Dictionary are also acceptable encyclopedic sources. "Dictionary Dust-Up (Danchi Is Involved)"
"Former OED editor covertly deleted thousands of words, book claims"
"Preface to the Second Edition: The history of the Oxford English Dictionary: The New Oxford English Dictionary project"
"UW Centre for the New OED and Text Research"
"A Scholarly Everest Gets Bigger"
"Preface to the Second Edition: Introduction: Special features of the Second Edition"
"Preface to the Second Edition: Introduction: The translation of the phonetic system"
"Preface to the Additions Series (vol. 1): Introduction"
"From Unregistered Words to OED3"
"The Oxford English Dictionary Second Edition on CD-ROM Version 4.0 Windows/Mac Individual User Version"
"Preface to the Third Edition of the OED"
"How do I know if my public library subscribes?" "Root and Branch: Revising the etymological component of the Oxford English Dictionary"
"John Simpson, Chief Editor of the Oxford English Dictionary, to retire"
"Pasadena: a brand new system for the OED"
"'The world's greatest dictionary' goes online"
"Making it short: The Shorter Oxford English Dictionary"
"Shortening the OED: Experience with a Grammar-Defined Database"
"Review: Oxford Dictionary of English"
"Verbs ending in -ize, -ise, -yze, and -yse : Oxford Dictionaries Online"
"UBC prof lobbies Oxford English dictionary to be less British"
"Oxford University Press Databases available through EPIC"
"literally, adv. (sense I. 1. c.)"
"In what sense is the OED the definitive record of the English language?" "v3.x under Macintosh OSX and Linux"
"Guide to the Third Edition of the OED"
"Looking Forward to an Oxford English Dictionary API"
"Oxford English Dictionary 'will not be printed again'"
"RIP for OED as world's finest dictionary goes out of print"
"Preface to the Second Edition: General explanations: Combinations"
"A Verb for Our Frantic Time"
"December 2007 revisions – Quarterly updates"
"Make, put, run: Writing and rewriting three big verbs in the OED"
"Thoughts on Writing a History of the Oxford English Dictionary"
"On Some Deficiencies in Our English Dictionaries"
"The evolving role of the Oxford English Dictionary"
"Why do large historical dictionaries give so much pleasure to their owners and users?" "Preface to the Second Edition: The history of the Oxford English Dictionary: A Supplement to the Oxford English Dictionary, 1957–1986"
"The Revolution in English Lexicography"
"Focusing on the OED's missing words is missing the point"
Other wiki pages related to Oxford English Dictionary.